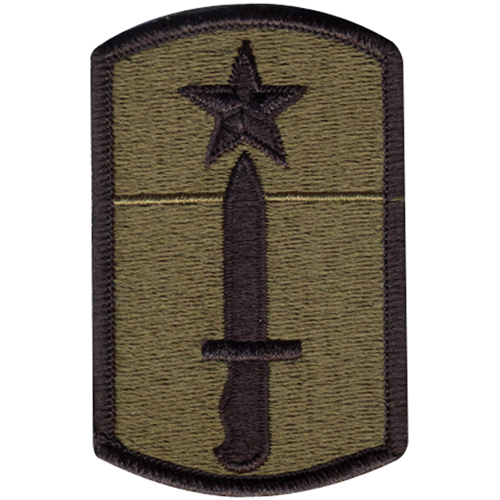 The 205th Infantry Brigade Subdued Patch is a subdued color replica of a military patch. The 205th Infantry Brigade was initially formed to be part of the United States Army Reserve's 103rd Division. It is a very detailed military embroidered patch, which has been able to capture every detail of the original patch. The Black knife and star embroidered on it is the distinctive mark which associates this patch to the 205th Infantry Brigade. This very well designed military patch comes in just one size and is perfect to be sewn on any cloth to enhance its look. This patch can also make a unique gifting idea to a person who really appreciates its value.